In the early to mid 1980s I worked in one of the largest plant nurseries in South East Queensland. Each morning in June we would pick up dozens of boxes of bare-rooted roses, packed tightly into sawdust, from the local train station; a major rose grower in Victoria having dispatched these a few days earlier. Each of these thorny sticks was unpacked, separated, individually named and re-housed in clean, moist sawdust for sale in the nursery; or packaged, addressed and put back on the train to be delivered to rail sidings all over the state. This is when I learnt to love, and hate, roses. I would go home each afternoon scratched, bleeding and sometimes with the thorns still embedded in my flesh … but the next morning I couldn’t wait to unpack the newly arrived boxes. For someone barely out of school the roses names were so exotic: Gold Bunny and Freesia, Woburn Abbey, Blue Moon, Princess of Monaco and Double Delight (the best seller at the time). The intense labour of this month, and then the potting-up of the remaining roses, was rewarded with a sales area full of gorgeous colours and scents. Sweet Vol de Nuit smelt like purple jellybeans and the ‘big reds’ (Oklahoma, Mr. Lincoln and Avon) were simply overpowering when placed together. is a little exaggerated (and my arms bear the evidence) but it does set the tone for a gentle and accessible book on the topic. 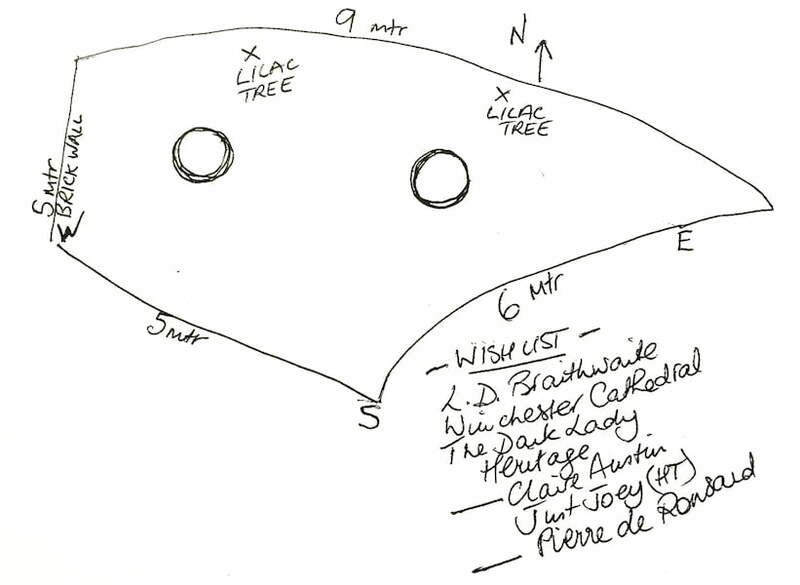 It is clear the author is both passionate and knowledgeable – her experience as a grower, seller and Rosarian Consultant for 25 years is evident. The author’s voice is very apparent in the text, so much so some readers may wince a little at the familiarity (for example, she constantly reminds the reader to ‘stop and smell the roses’, exhorts the reader to have a ‘cuppa’ and frequently emphasises points in caps – NEVER USE GLYPHOSATE NEAR ROSES …). Having said that, the book is easy to read and to consult. It would have benefitted from an index; however, the table of contents is quite detailed – sections have been aptly and clearly named for easy reference – although there is a disparity between the section listings in the contents (25, 26 and 27, for example) and the sections themselves (2.5, 2.6 and 2.7). This is a merely a formatting glitch and does not affect the reader’s ability to locate the relevant section. 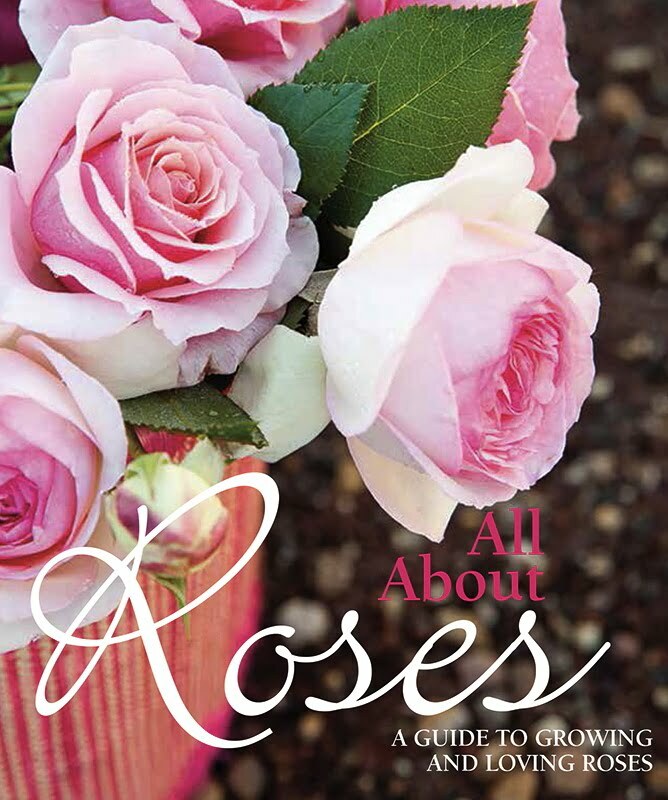 The Cultural Notes for Roses (Part 3) are generally excellent; perhaps, in the second edition, step-by-step photographs of the rose planting and rose pruning processes could be included. Even experienced gardeners of my acquaintance baulk at pruning, and one of the biggest quandaries at planting time is the depth at which to bury the bare-rooted, and often grafted, ‘thorny sticks’. This would also apply to Part 2.16 (Rose propagation in the Home Garden) – there are many recommendations and stages in this section and photographs would be an immense help. this is an excellent overview of environmentally friendly products and processes applicable to roses. Photographs should have more specifically illustrated, for example, powdery mildew and downy mildew (to differentiate between the two), Whitefly, Red spider mite and Scale. Part 4.31 (Season-by-season Rose management) will be extremely useful for novice rose gardeners, as will 4.33, troubleshooting (‘What is wrong with my rose?). The weakest section, to my mind, is Part 1 (About Roses). There simply isn’t enough about roses. The section on rose classification is too brief and skips over many of the amazing Species Roses (such as Rosa rugosa and Rosa x damascene) and Heritage Roses. I would love to have read the histories of the Bourbon, Noisette, Gallica and Musk roses, for example. I was left wondering the exact difference between ramblers, climbers, and pillar roses and there was no mention of the distinction between remontant and non-remontant roses – a question I was often asked in the nursery. I also deliberately sought clarification of the difference between Hybrid Tea, Floribunda and Polyanthas roses, but the book does not effectively assist in that matter. 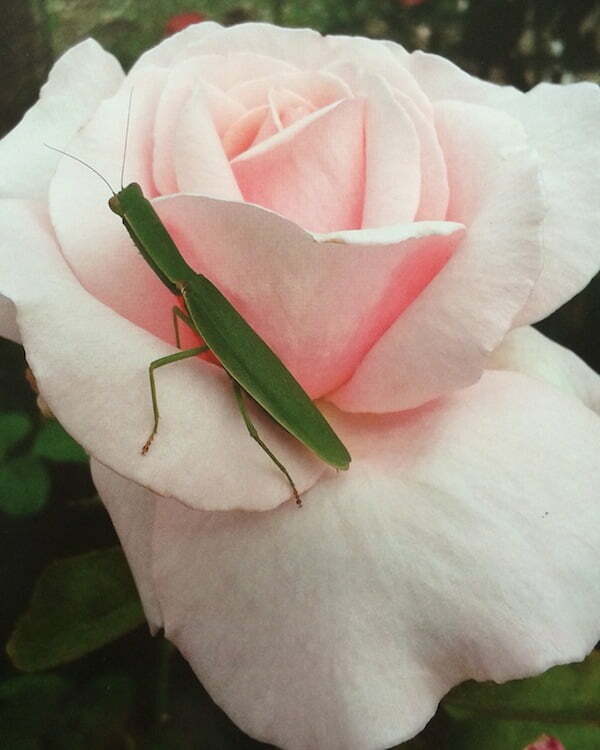 The photos are by the author and her niece, a professional (wedding and event) photographer, and are sumptuous and show the rose colours and forms very clearly. Sadly, the few sketches let the book down. An opportunity for a beautiful picture of flaming red/orange rose hips has been lost, and the “simple drawings” (also referred as “mud maps”) are too simplistic. I understand the casual, non-threatening effect the author and publishers were trying to achieve, but clarity and legibility should not be sacrificed, even in a basic guide such as this. and this describes the outcome very well. This is not necessarily a book for experienced growers or those with particular tastes in roses, but for a novice gardener or a budding rosarian this is an excellent start. The information is current and correct, and the advice is clearly derived from years of (often, trial and error) experience. 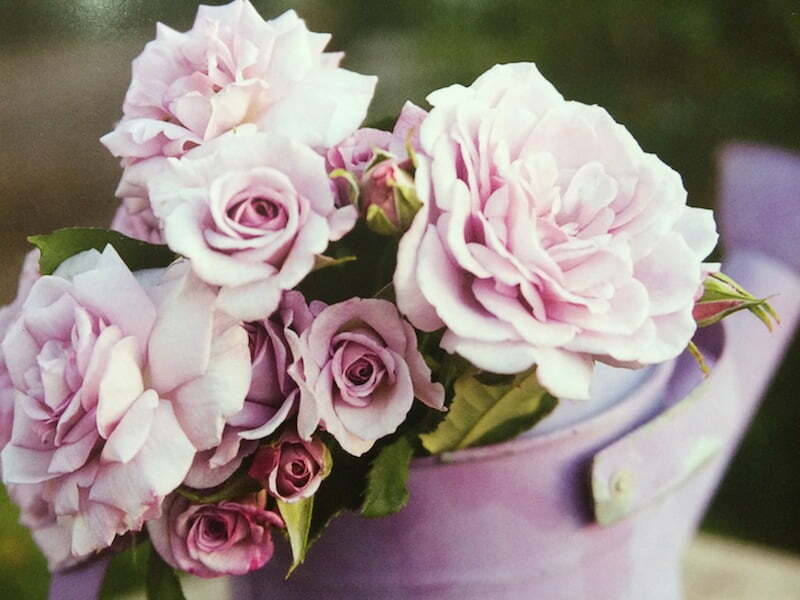 The author stresses the many health benefits of growing and tending roses, including exercise, an opportunity to mentally unwind and the addition of beauty and aroma to the garden. These are three excellent reasons for persisting with those ‘thorny sticks’, with this book as a supportive guide.